Large quantities of the greenhouse gas methane are trapped in the Arctic seabed. If it is released and reaches the atmosphere, it will worsen global warming. 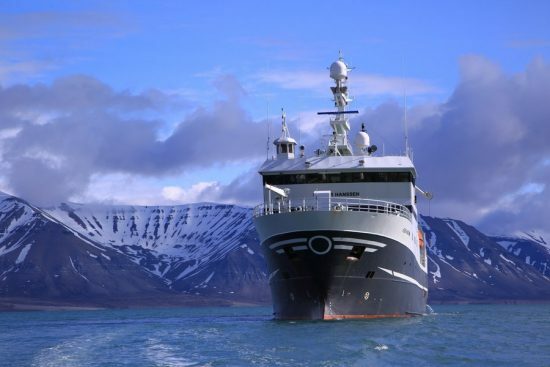 However, an international research team has discovered that methane sources in the seabed in front of Spitsbergen do not necessarily have this effect; in fact, it can even help to remove the greenhouse gases from the atmosphere. As a gas, methane is one of the most efficient and the most climate-friendly of the fossil fuels. As a free gas in the atmosphere, however, it is a potent greenhouse gas, one which exceeds that of carbon dioxide by a factor of 30 over a period of 100 years. Therefore, many scientists are concerned about the Arctic permafrost and seabed, which hold huge amounts of methane within. 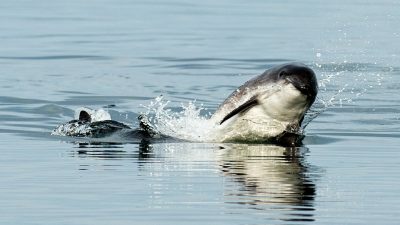 Would they be released as the temperatures rise and subsequently accelerate climate change? A team of US, Norwegian and German researchers has studied the gas exchange between the Arctic seawater and the atmosphere directly above the natural methane sources on the seabed. 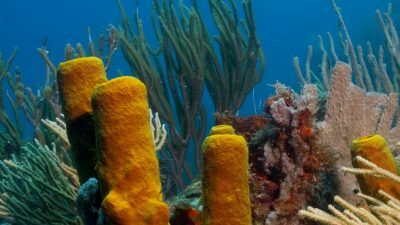 Their surprising conclusion was that the ocean waters absorbed 2,000 times more carbon dioxide from the atmosphere than the amount of methane escaping into the atmosphere from the same waters. “Even if one takes into account the more powerful greenhouse effect of the methane, there is a smaller effect on the greenhouse effect in these areas,” said co-author GEOMAR’s Prof Dr Jens Greinert in German. The study was recently published in the international trade journal Proceedings of the National Academy of Sciences of the United States of America (PNAS). The investigations on which the study was based were carried out near the Norwegian island of Spitsbergen. On board the Norwegian research vessel HELMER HANSSEN, the team continuously measured the concentrations of methane and carbon dioxide in the ocean near the surface and in the air directly above the ocean surface. Within the study zone, there were sites with water depths of 80 to 2,600 metres where methane bubbled out from the seabed and entered the seawater. An analysis of the data confirmed that the methane being released was entering the atmosphere at water depths of 80 to 90 metres. However, it also showed that the topmost water layers were absorbing large amounts of carbon dioxide at the same time. “The CO2 absorption at the methane sources was significantly greater here than in neighbouring areas without the methane seepage from the seabed,” said Prof Greinert. The reason for this is the photosynthetic algae. They are much more active over the methane sources and can absorb more carbon dioxide. Together with the methane-rich waters, the nutrient-rich water flows out from the seabed to the surface and promotes the growth of more algae. Prof Greinert describes this study as the first to show the connection so clearly. However, there is no evidence of any connection between the existence of methane sources and the transport of soil water to the ocean surface. “If what we observed near Svalbard occurs more broadly at similar locations around the world, it could mean that methane seeps have a net cooling effect on climate, not a warming effect as we previously thought,” said lead author biogeochemist Prof Dr John Pohlman of the US Geological Survey. This would be the exact opposite of what the scientists had anticipated. Further research in other parts of the ocean would be needed to confirm the hypothesis.